You're curious what are the most common auto repairs out there and how much it would usually cost you. It's good to be familiar with the facts regarding car repairs, especially if you're considering having something done. So what are the most common auto repairs in cars, and how they get damaged? If your car is usually an older model, then oxygen sensor replacements are the most common problem you will probably encounter. An oxygen sensor is a critical component of your car's exhaust. However, when a car ages, the sensor also becomes worn and would need a replacement. This problem usually occurs if your car has already run for at least 60,000miles. Cost: Moderately expensive, usually around $250 for the replacement. Once again, this is another one of the most common causes of repairs for older cars. Both functions spark your ignition chamber as this ignites and bring your engine to life. Cost: Average cost to get this done would be about $390. However, if not repaired correctly, it can cause you more problems. It functions to neutralize possible risky compounds present in your exhaust system like carbon monoxide. Secondary functions include enhancing the overall car performance of the car as well as increasing gas mileage. Usually, there can be unattended issues with some parts of your exhaust system and in turn, would cause the catalytic converter system to break down. A loose fuel cap may cause several problems to the fuel tank leading to low performance. It's also a cause of the check engine light. You might think repairs for this wouldn't cost much, but in the long run, a loose fuel cap will cause you hundreds of dollars when it comes to gas mileage over a short amount of time. Cost: Inexpensive, the price per cap is $15 on average. Another most common problem of older models is a faulty thermostat. Technically, the thermostat measures your engine's temperature. This type of problem should be fixed as soon as possible because due to strain, your car will damage itself. Your MAF Sensor functions to regulate the amount of air entering your engine. The car's system then uses it determine what the ideal air-fuel ratio is for your ignition. It is the valve that manages your EVAP system to makes sure it works properly. The primary function of the EVAP system would be trapping gas vapors and feeding it back to the engine so that it could decrease emissions that could be harmful. Who wouldn't want to drive a car that will last for many years to come? 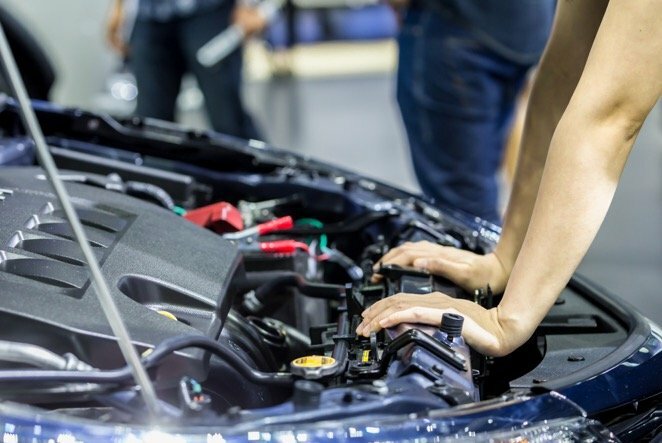 Whatever problem your car might have, it is advisable to address these concerns as soon possible and see a professional like the ones at St. Louis auto body shops. Even small car repairs can lead to more serious concerns. John Masterson is an auto vehicles enthusiast who's been in love with cars since his childhood. He continues to share this passion with others as a writer for Schaefer Auto Body, and aims to spread his love for automobiles and St. Louis auto body shops with his pieces. He reads magazines about cars and the automotive industry during his free time.